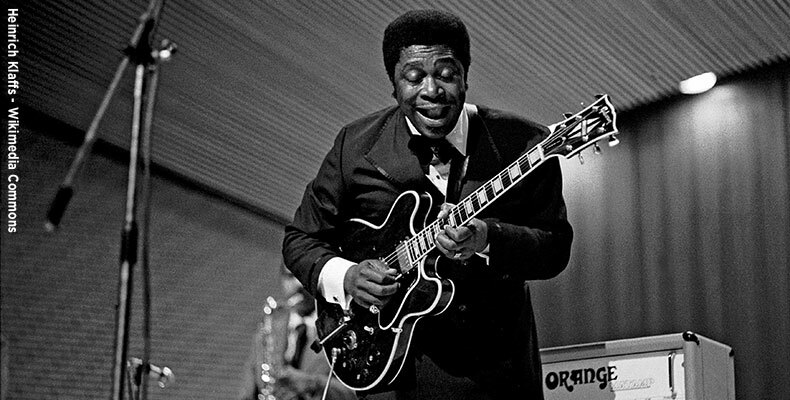 [Jakarta, LttW] BB King, renowned & respected senior Blues Guitarist, has passed away this May the 14th, aged 89. He had been actively playing Blues Guitar & touring up to the very last months of his life, to October of 2014, when he cancelled tours due to dehydration & exhaustion related to his diabetes. He died in his home. From the cotton fields of Mississippi to the forefront of USA Blues (see “Vox de Cultura – Tuning to the Americas”), his music has inspired blues guitarists, rock guitarists, and pop entertainers the world over. He is credited with having married the sounds of Mississippi Delta Blues with Urban sounds and Electrical Guitar techniques, responding to the tastes of his varied audiences while continuing to maintain his signature guitar licks. His legacy will live on, and he will be missed. The official B.B. King website is at: www.bbking.com. There will be a Public Viewing on May 22, 2015, in Las Vegas.